My hobbies include hiking, amateur radio and photography, although I haven't had much time for the latter two in recent years. For recreational reading, I enjoy the study of ancient civilizations; in particular, their writing and calendar systems. I have followed with great interest the recent progress in deciphering the written language of the Classic Maya, which consists of artistic glyphs. The Maya were wonderful calendarists and outstanding mathematicians. They recorded dates using a positional notation system including zero as early as two centuries BCE. I managed to sneak a bit of this stuff into my paper . Other evidence of this interest is in the logos planted at various places in these pages. Having come this far, you may be curious about the other pictures and artwork that ornament these pages. For background on that, see the About the Pictures page. It is an open secret among my correspondents that I on occasion do twitch the English language in mail messages and published works. Paper referees have come to agreement on what they call millsspeak to refer to the subtilities with which I personalize my work. If you read my papers or my mail, you know my resonances. If not, you can calibrate my naughtimeter from children's books , outhouse walls  and old English slang . 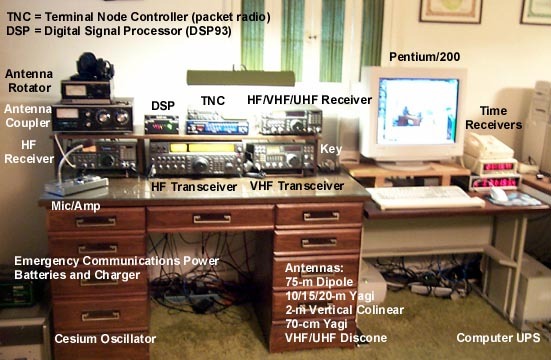 My amateur radio station W3HCF includes two-way voice and data radio transmission equipment covering HF, VHF and UHF amateur bands. 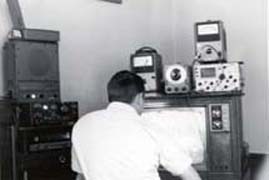 It uses modern solid-state gear that replaced an older station using vacuum tubes. The antenna farm on the roof is a local landmark. Any of four radios and several voice and data modes can be remotely controlled and accessed using standard Internet data and multicast audio tools. The radios can run for extended periods without external power for emergency and disaster communications. 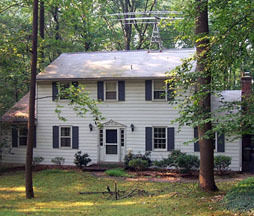 This is also the location of the Backroom Test Facility (BTF), named for a similar facility once maintained in support of the DARPA Atlantic Satellite Program. 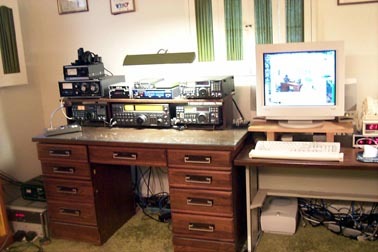 The BTF includes computers and specialized radio equipment for network time synchronization. 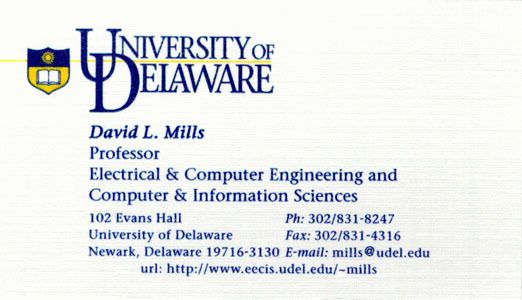 It is connected to campus with ISDN network links. 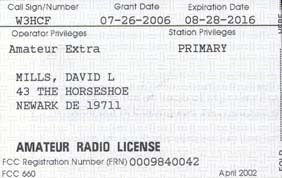 Above are are my current FCC Radiotelegraph and Radiotelephone Operator Licenses and Amateur Extra Class License. There is no mistaking me on the road, either. The telegraph ticket requires a proficiency in Morse code sending and receiving of 25 words-per-minute, which may be useful as a MIME type in secret mail. 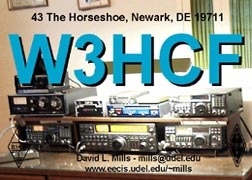 At upper right is a verification (QSL) card for my current amateur radio station W3HCF. 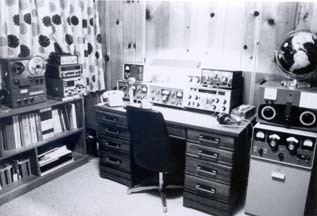 I have been licensed since 1954 and held former callsigns K2GUP (New Jersey), W8EJQ (Michigan), GM5AWF (Scotland) and F0BCX (France). Call me on CW or SSB phone or on the ham club repeater W3UD 145.31/144.71 MHz FM (I'm the club advisor and station trustee). In fifty years of sometimes sporadic attention to the hobby, I have worked stations in well over 200 countries of the world, including some geographical extremes, such as these three rare ones at Palmer Station, Antarctica (right) and the South Pole. Careful observers will note that since the pictures on these cards were taken both installations have grown to huge proportions. In the 1970s when the Seabees were building the South Pole Station I ran occasional phone patches so the Antarctica guys could talk to their wives in the US. They told me of the 200-Degree Club, an initiation rite where a newcomer is forced to take a hot shower, following which he is tossed naked outdoors in the cold. Not for very long, I trust. Jerri Nielson reports a newer 300-Degree Club, which starts in the sauna instead of the shower . Now of course the Polies have satellite links, video and the Internet. Carroll, Lewis. 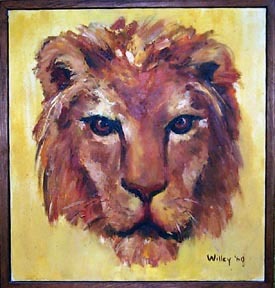 Complete Works. Penguin Group, London, 1988, 1165 pp. Illustrations by Sir John Tenniel. Harris, M. Cotswold Privies. Chatto and Windus, London, 1984, 79 pp. Kacirk, J. Forgotten English. William Morrow, New York, 1997, 240 pp. Nielson, J. Icebound. Hyperion, New York, 2001, 362 pp.